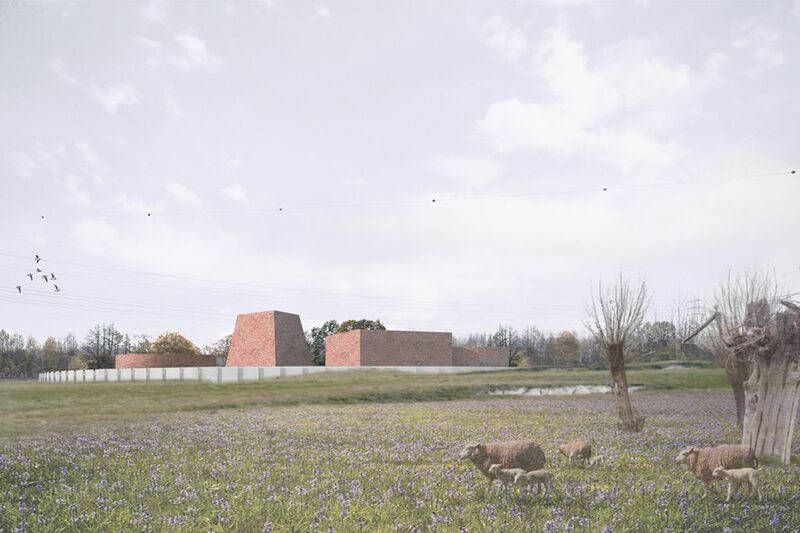 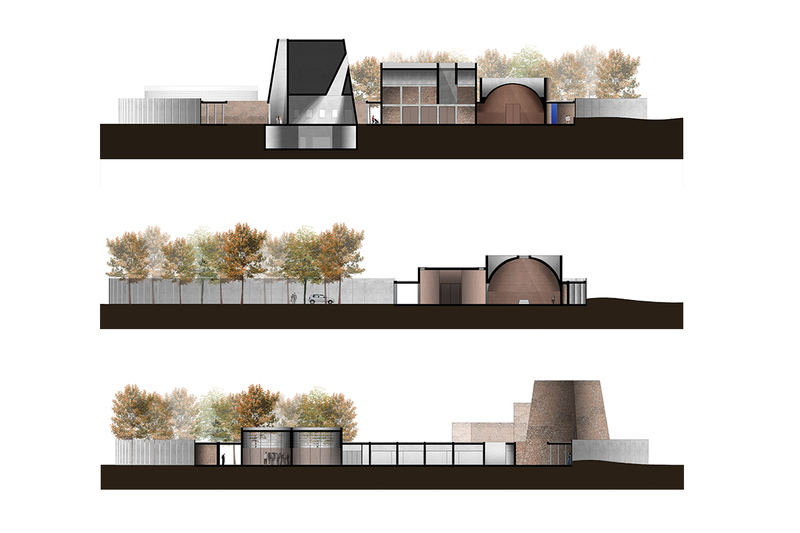 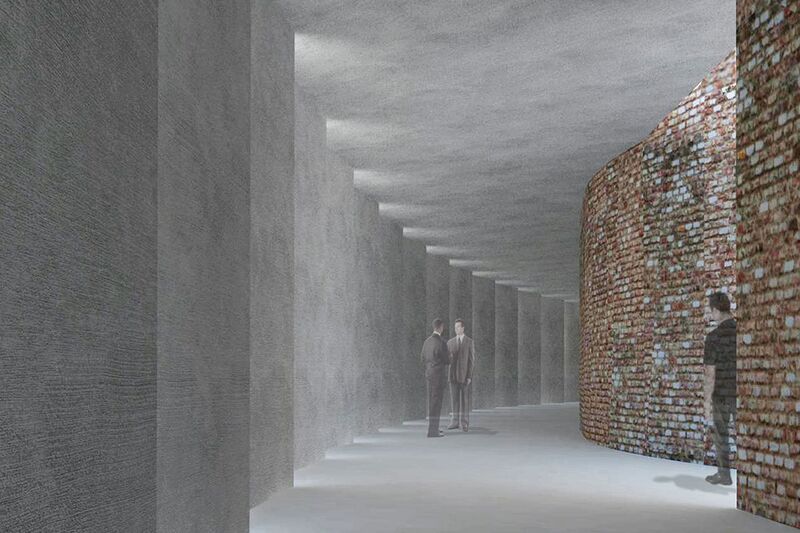 Competition proposal for a new crematorium for Zemst, in the periphery of Brussels. 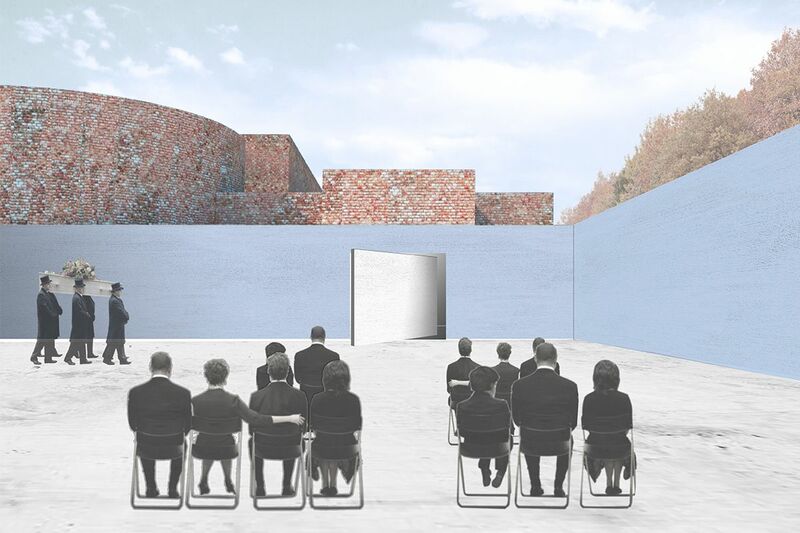 The concept is based on the scenario of the ritual. 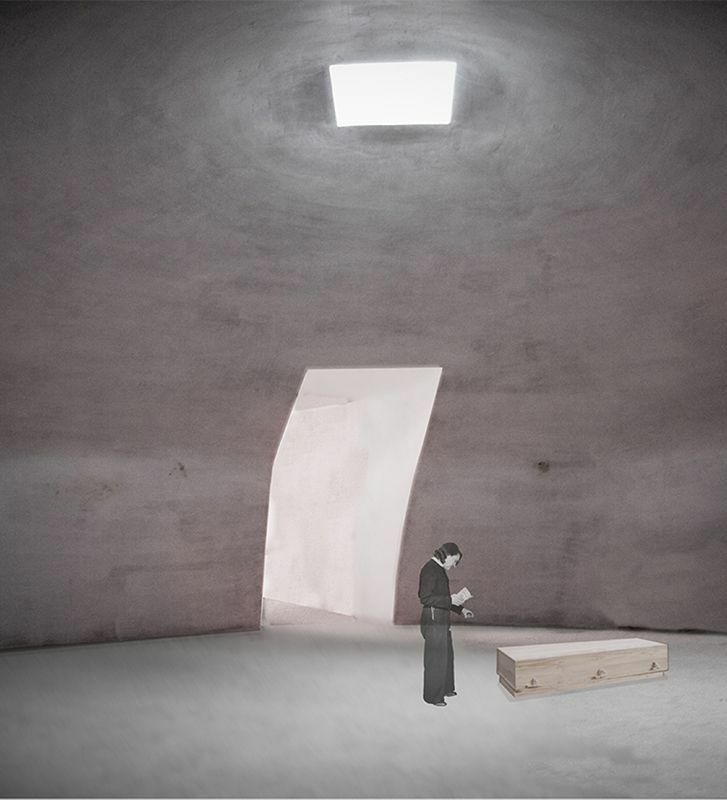 By including all functions into the interiorized landscape, all the moments, such as parking, the coffee table, the cremation are part of the ritual. 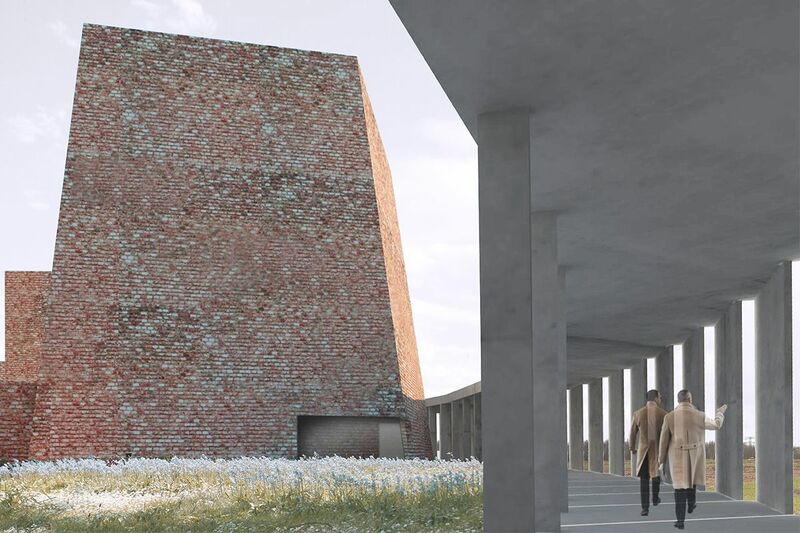 A set of specific spaces and atmosphere can be combined on customer demand, so a great variety of scenario’s are be offered to the mourning relatives. 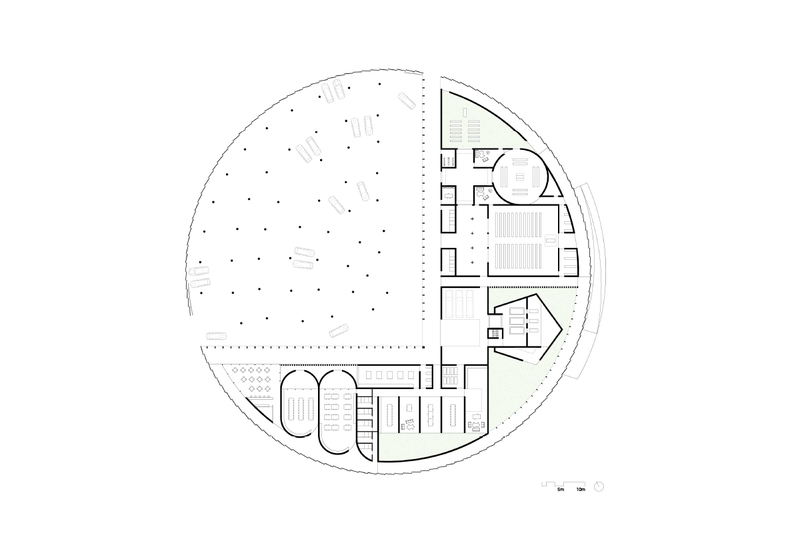 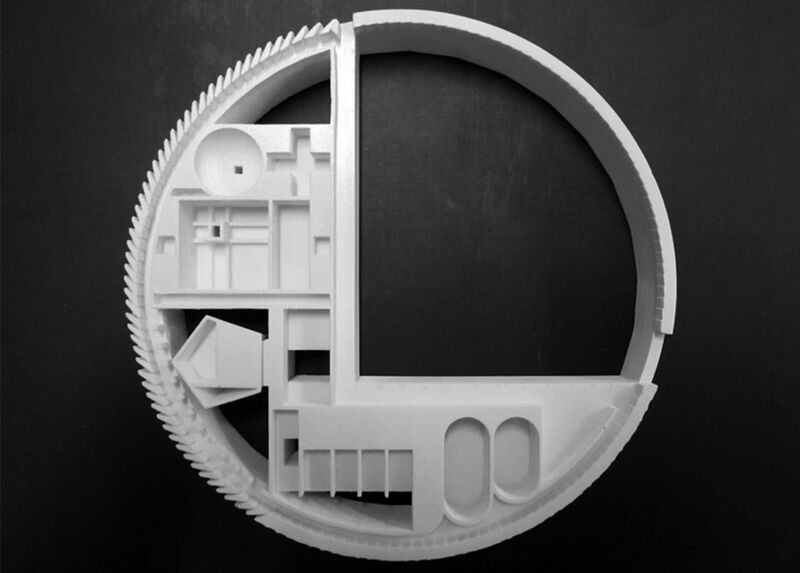 The building is a circular enclosed garden, an enclave, with various relations to the surrounding landscape. 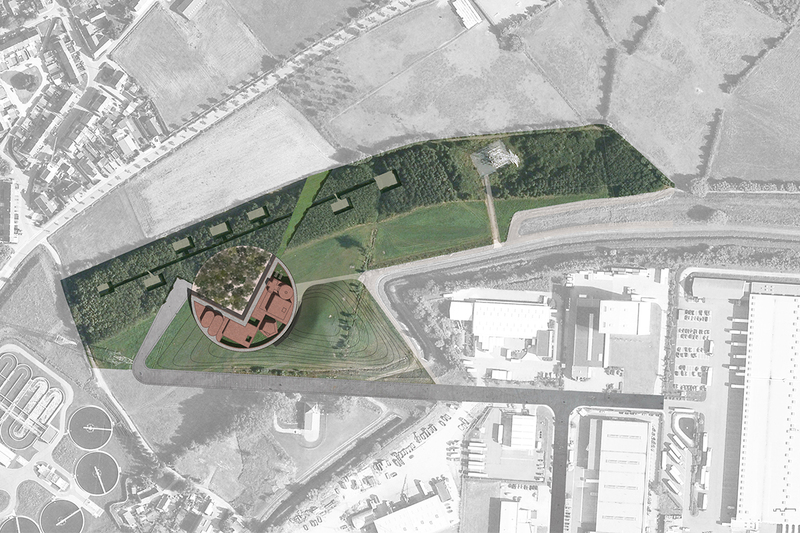 A landscape which is set on the edge between an industrial zone and a more natural setting.